Since 1988, the Discovery Channel has aired its annual week-long programming block dedicated to some of the scariest beasts in the sea to popular acclaim and big ratings. 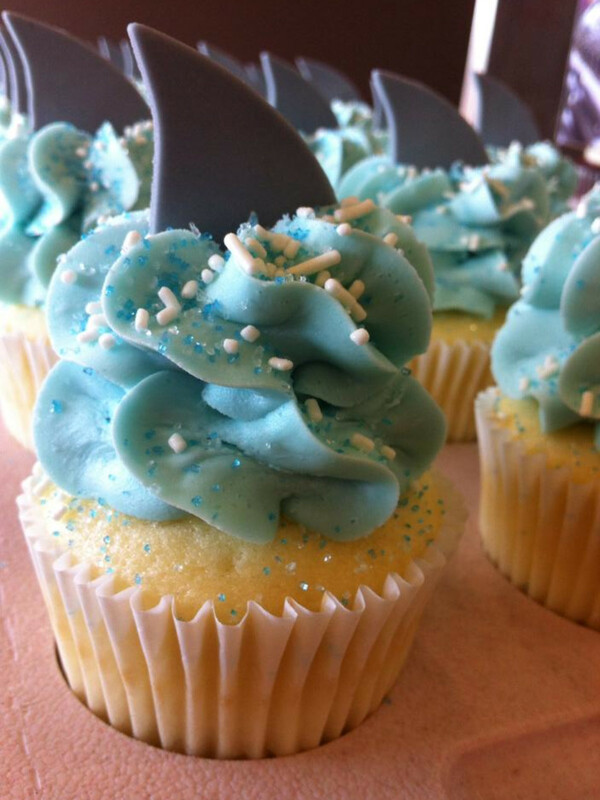 In honor of this year's Shark Week we've rounded up everything shark-related to help you celebrate the annual TV feeding frenzy. 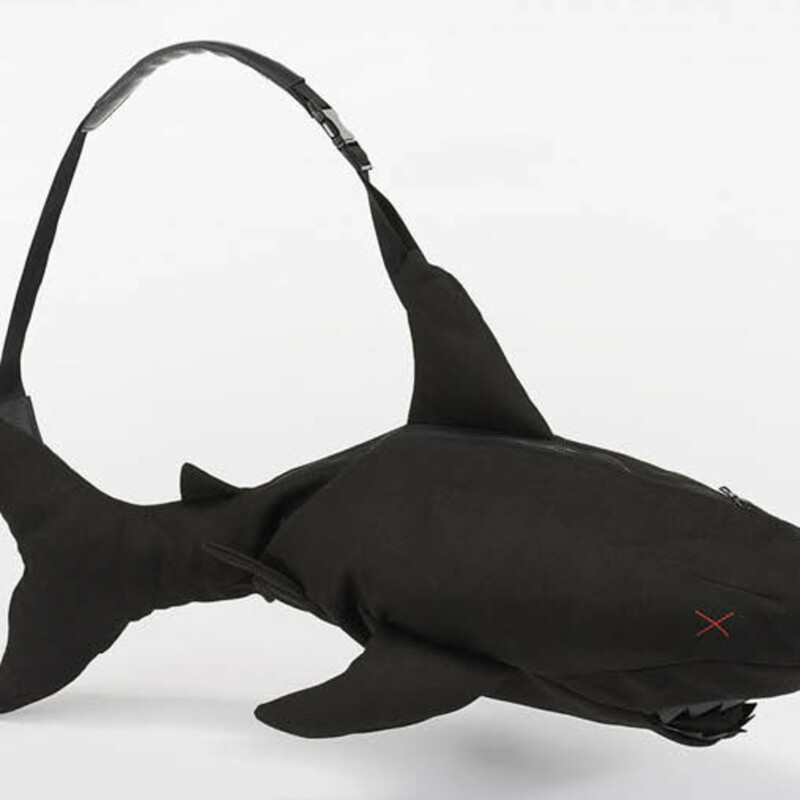 While perusing this list, remember that, although Discovery's shark related-programming ends Sunday, you can always follow the wise words of 30 Rock's Tracy Jordan: "Live every week like it's Shark Week." 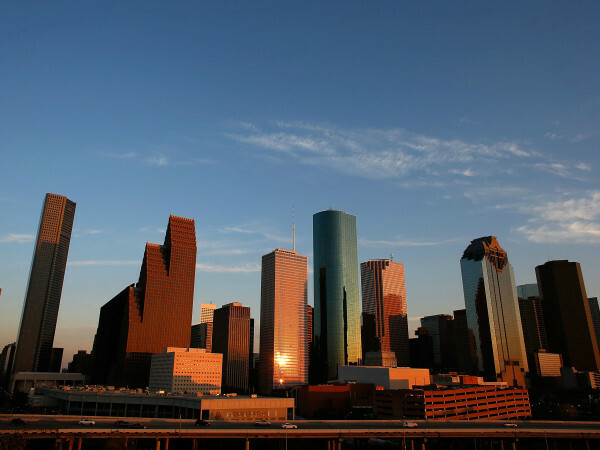 There's no better place to go to get your shark fix than at The Houston Museum of Natural Science. It's Shark! 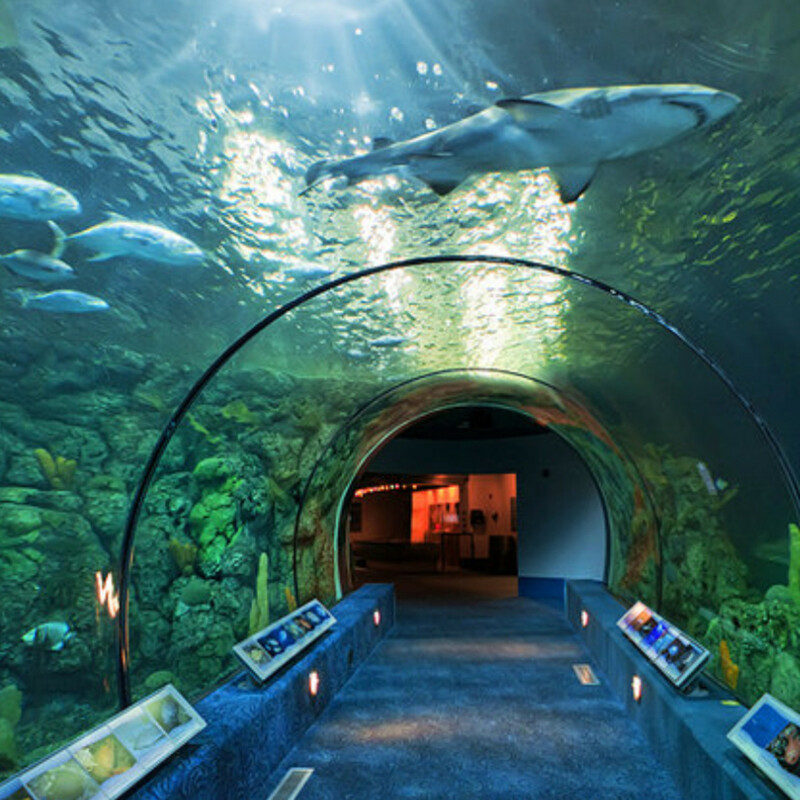 exhibit features a shark cage with a three-sided video wall, giving visitors the opportunity to feel as if they are in the ocean swimming with the mighty beasts themselves. 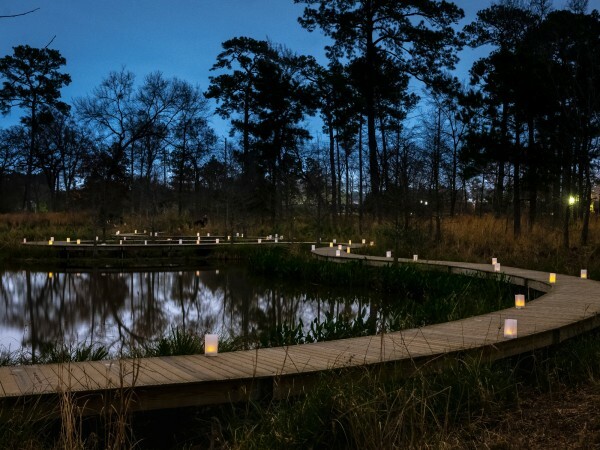 It also includes two shark touch tanks — whitespotted bamboo sharks in one and epaulette carpet sharks in the other — and gives visitors the ability to track great white sharks swimming in the Gulf of Mexico. 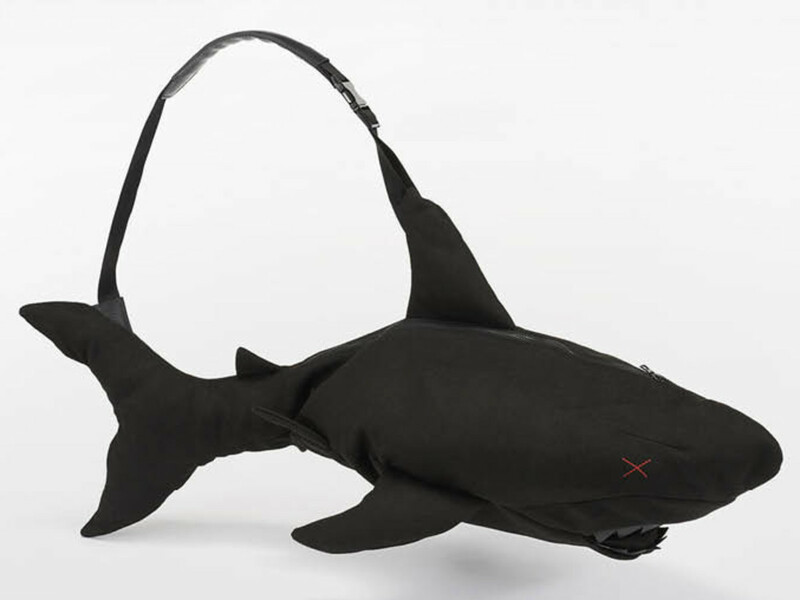 If you can't make it to the unique exhibit during Discovery's Shark Week, it will be open until Sept. 7. 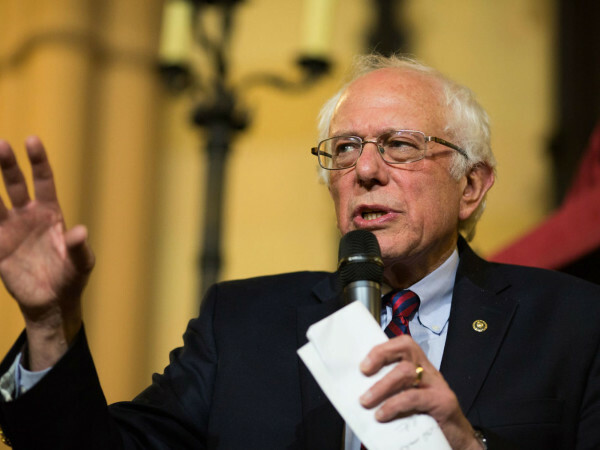 For non-members, tickets are $25 for adult and $20 for children and seniors. Moody Gardens in Galveston is hosting Shark U Week, which features a number of shark-related events. Whether you want to see a live shark feeding, watch the under-the-sea film Great White Shark in 3D — shown on the largest screen in Texas — or hear keepers speak about sharks, it makes a great place to celebrate Shark Week. Visiting Moody Gardens' Aquarium Pyramid during Shark U Week — which extends through Saturday — is only $16.95 when using the discount code code MGSHARK. 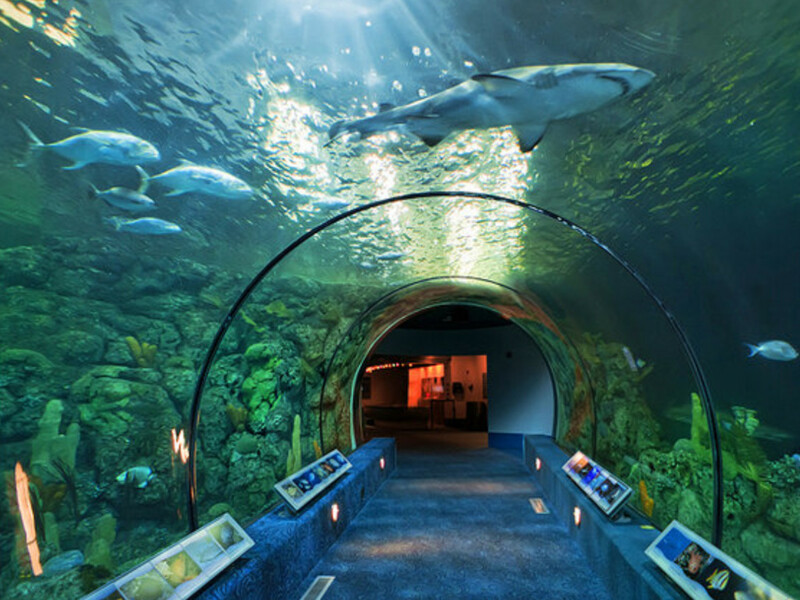 The Downtown Aquarium, located at 410 Bagby St., is a great place to celebrate the occasion with their Shark Voyage ride. The C.P. 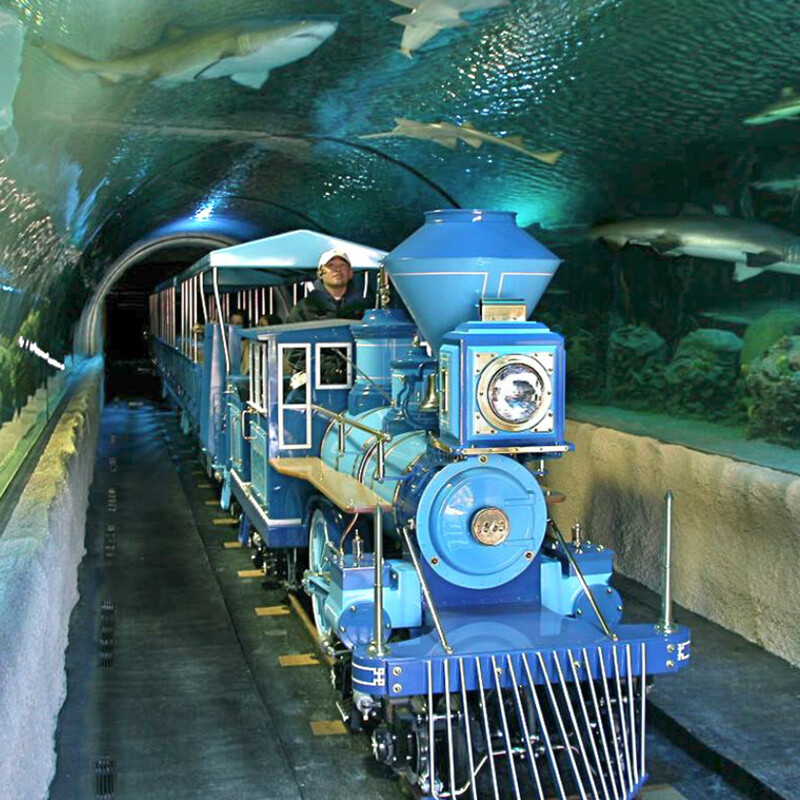 Huntington train passes through the center of a 200,000 gallon shark tank to let riders get up close and personal with sharks of all species. 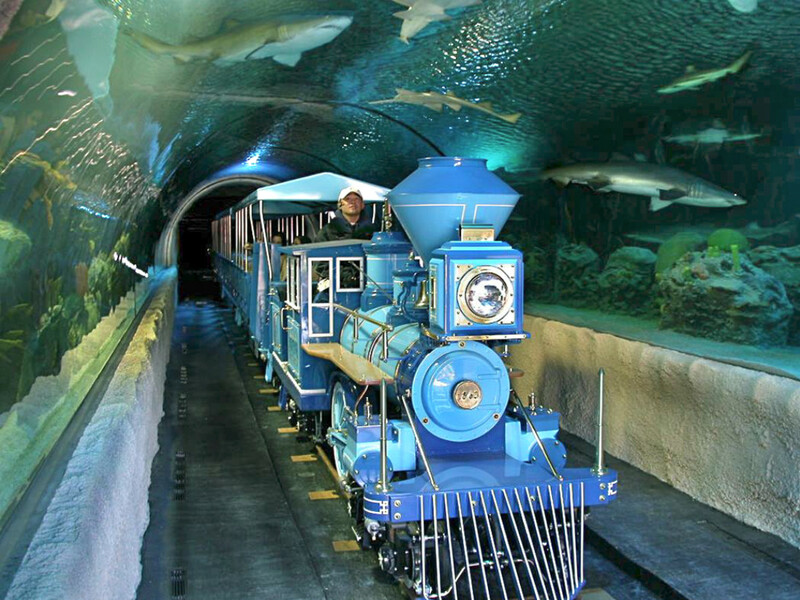 Tickets for the exhilarating undersea experience are $4.99. 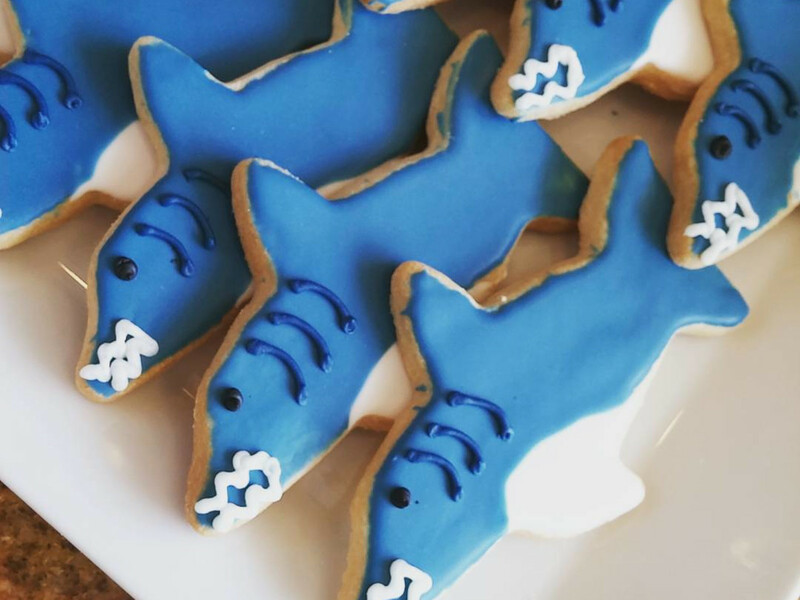 Michael's Cookie Jar, known for beautifully hand-decorated cookies and other delectable sweets, is featuring blue-and-white iced shark-shaped sugar cookies in honor of Shark Week. 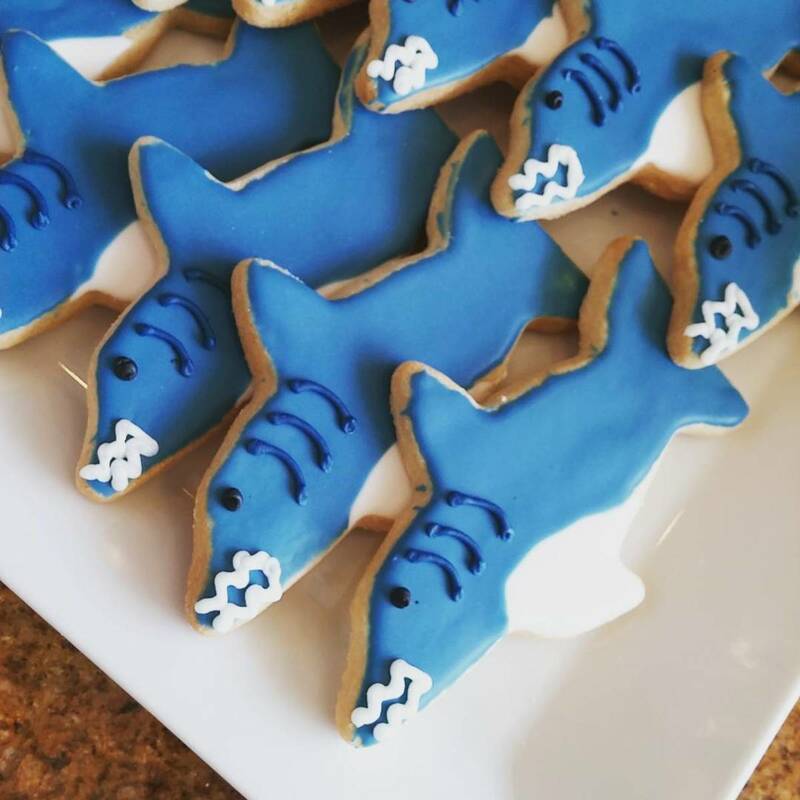 Take a bite out of one of their shark cookies ($2.95 each) at either locations— 5330 Weslayan or 711 Louisiana. 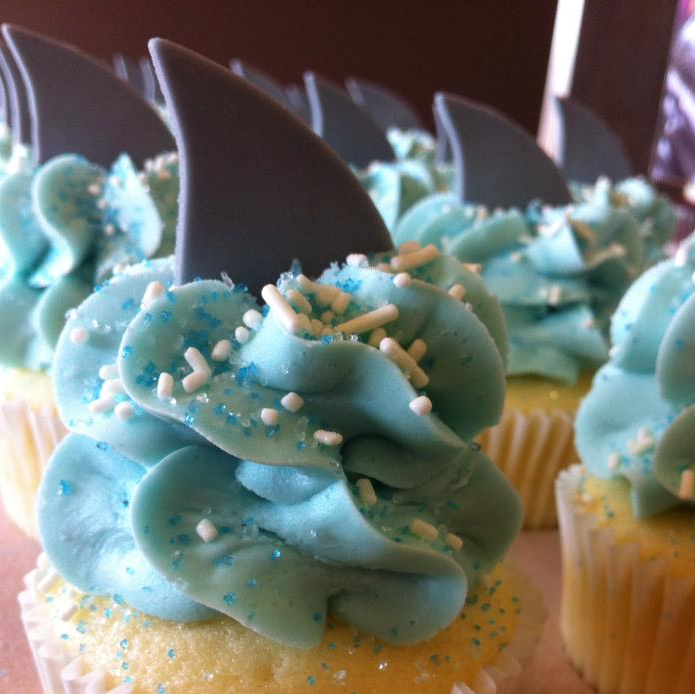 To celebrate Shark Week, Gigi's Cupcakes of Sugar Land is offering up some tasty cupcakes featuring adorably-themed decorations like sugar shark fins, Swedish Fish and Life Savers that look like — what else? — life savers. Regular cupcakes are $3.50 each ($36 a dozen) and the mini cupcakes are $18 a dozen at Gigi's location at 15850 Southwest Freeway. 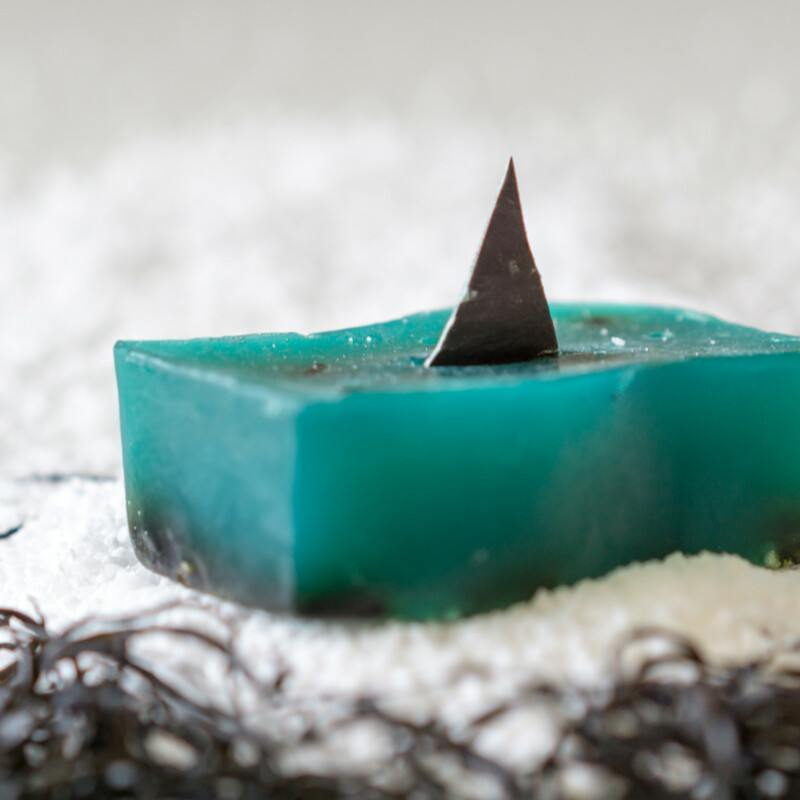 All of the proceeds from each sale of the special shark fin soap are donated to organizations around the world working on shark conservation, ocean health and the protection of species. 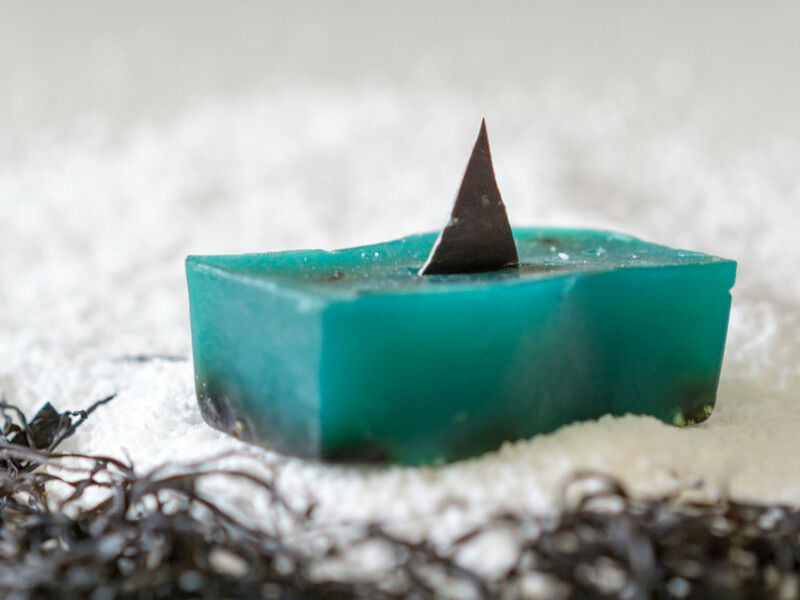 Although the product is sold out online, it is available for purchase at Lush's six Houston-area stores, including locations in Highland Village, Memorial City and The Woodlands. 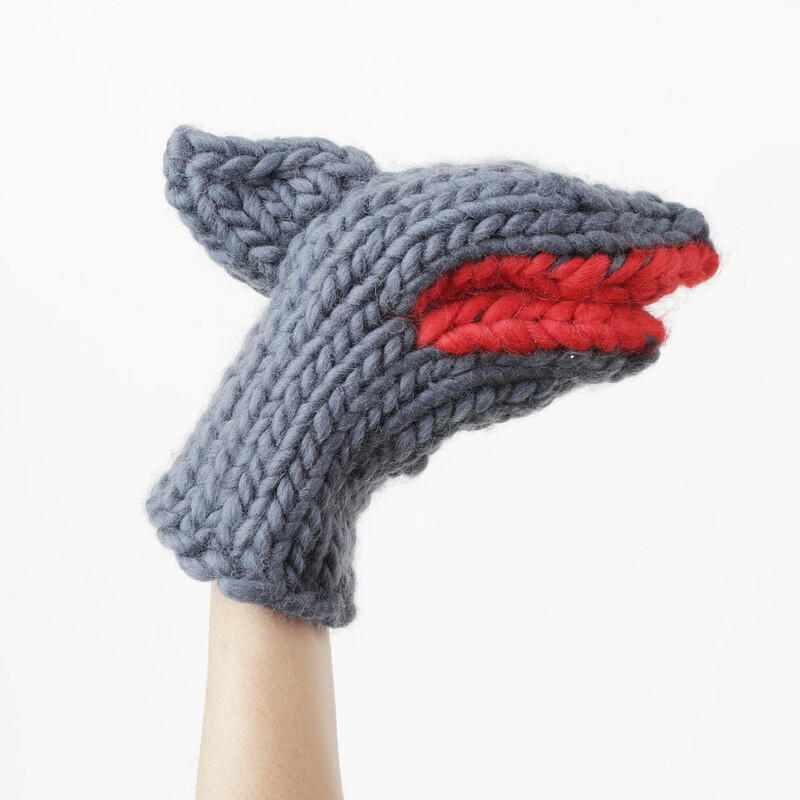 Clearly nothing says "Shark Week" like a pair of chunky wool shark mittens. 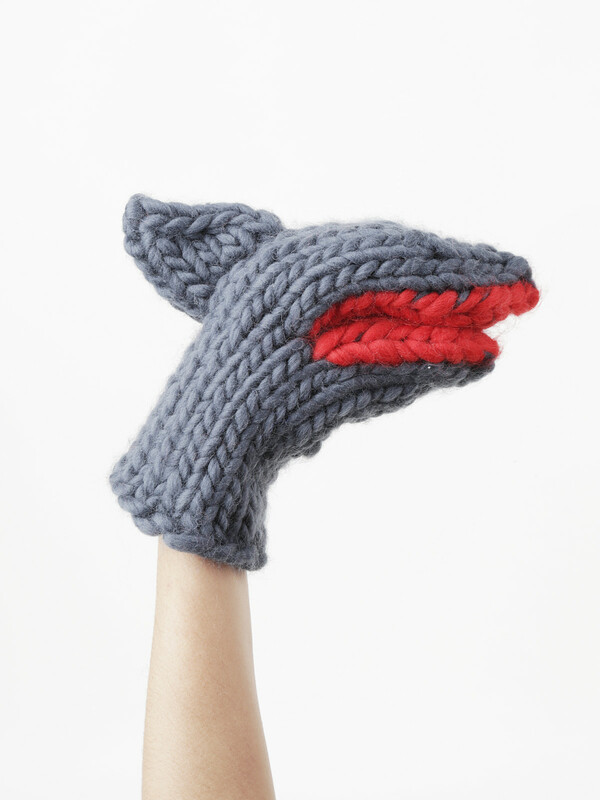 The Bruce Knitmitts ($127) — available in three colors — were designed by British designer Christopher Raeburn and handmade by Wool and the Gang's London-based knitters using Peruvian wool. Although it's too hot to wear them in Houston right now, you'll be the coolest kid on the block with these come winter. 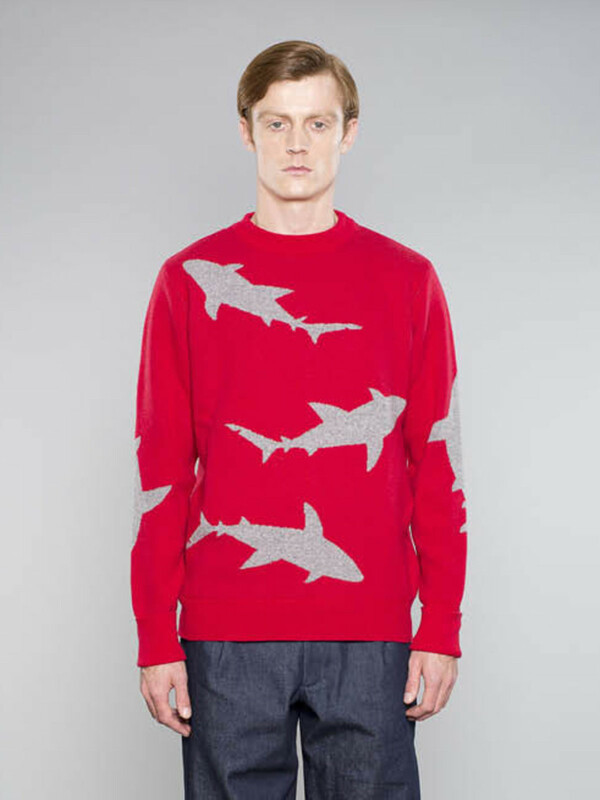 Apparently Raeburn has a thing for sharks as his newest collection features a shark-shaped bag ($688) and a shark-emblazoned jumper ($422). A host of shark themed movies are now available for instant streaming through Amazon. 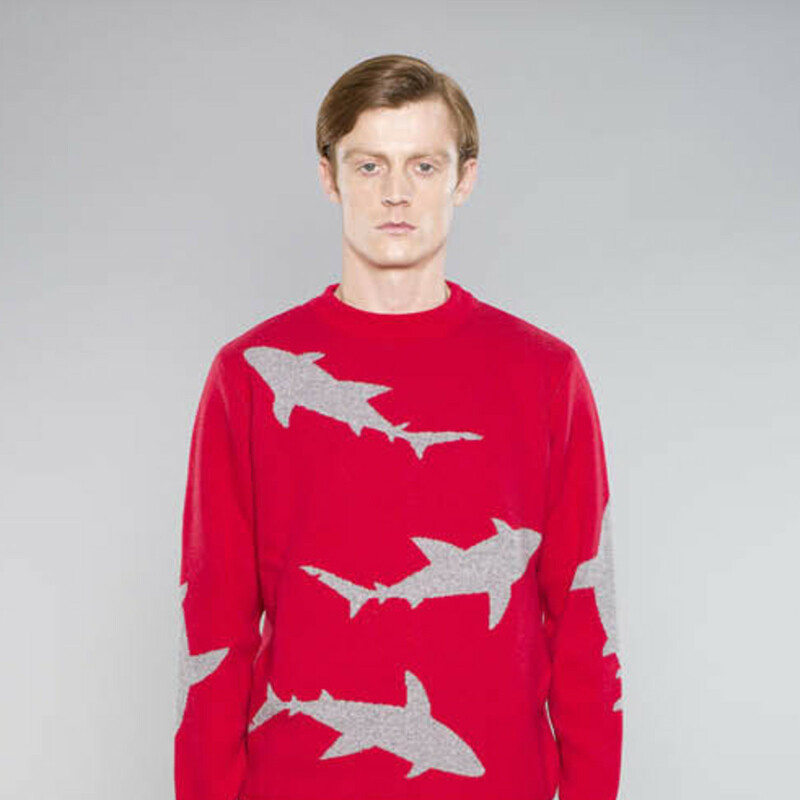 They range from the iconic 1975 movie, Jaws, and sequels Jaws 2, Jaws 3 and Jaws the Revenge, to the beloved 2003 Disney movie Finding Nemo — remember the immortal words of Bruce the shark: "Fish are friends, not food!" Also available for viewing: the campy made-for-TV movies. Sharknado and Rifftrax Live: Sharknado , Blue Water, White Death, the scary 2007 documentary that details the search for the great white shark, and The Reef, a 2010 Australian horror film in which a group is stalked by a great white shark in the Pacific Ocean.